Why Should Retail Locations Be Listed In Search Engines? Retail locations invest in marketing and promotional activities to get found. They will spend on traditional marketing collaterals such as press releases, print ads, and POPs or Point-of-Purchase materials. Likewise, many physical retailers will include a listing in the Yellow Pages so that people who need your particular products and services can easily find your location. However, in this age of the Internet and digital technology, if you have a physical retail location, you should consider being listed in search engines instead. Businesses continue to use traditional marketing strategies in this age of digital marketing because there is still some benefit to be gained from them. For one thing, it is a form of high-touch marketing. When a flyer is handed out, your representative can take the time to discuss your business with a prospect. Other traditional marketing methods such as product demonstrations and samplings work in the same manner. However, traditional marketing is limited by its scope and reach. Flyers can only be received by people moving within its area of distribution. Press releases and print ads will only be seen by people who decide to read the publication. The flyer can wind up in the trash bin. The press release and print ad may be ignored. If you have the money to spend on a TV or radio ad, some people may just switch channels. Your efforts may not improve recall to the point that they will search for your business in the Yellow Pages. These forms of marketing are quite expensive and the low returns may not justify the investment. The Internet and the continued evolution of digital technology have encouraged consumers to utilize more efficient channels to find information. Innovations in mobile technology have everything consumers need accessible within the palm of their hand. People are using the Internet to search and find the information they need from websites, social media, and other sources of content. According to a study by search engine giant, Google, 4 out of 5 Americans prefer to use search engines to track down local businesses. 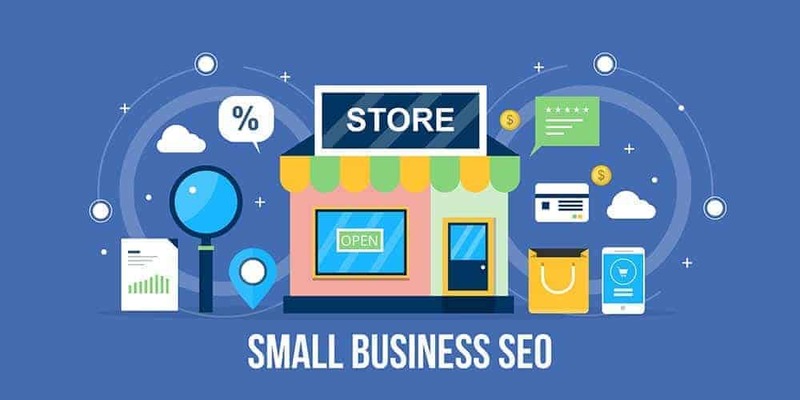 A more significant statistic from Google’s study showed that 50% of consumers who use search engines to find a business visit the retail location on the same day. 18% of these retailers were able to convert these visits into paid sales! If your business currently has a digital marketing strategy in place, you are on the right track. As we discussed in our article, “Why You Should Think About Digital Marketing When Starting Your Business”, it is a proven strategy for effectively promoting your business; its products and services. A good digital marketing strategy includes SEO or Search Engine Optimization, social media marketing, email marketing, and content marketing. Collectively, these processes will help you achieve your online marketing goals. Maximize the return on your digital marketing efforts by having your business listed in a few search engine directories. Getting listed in a search engine directory will make it easier for people to find and contact your business. Number one on your list of search engine directories to register your business at should be Google My Business (GMB). Why? Let’s start off with the fact that Google is the largest search engine in the world and basically has outperformed all other search engines on the Internet. In 2016 alone, Google generated 7.8 Billion searches every single day! Secondly, Google My Business is free. It will not cost you a cent to list your business at GMB. According to Google, GMB offers small, local businesses a huge edge over larger-sized competitors because it features a mobile-friendly map. Your business will be immediately visible to all smartphone users – Android and iOS phones – within a 5km radius of your physical location. Lastly, listing in GMB is a very easy process. If you want to list on a search engine directory, prioritize GMB. Bing Places for Business currently ranks behind Google My Business in terms of online searches. Those who have Windows in their computer will probably choose Bing instead of Google. Just like GMB, Bing Places for Business is for free and will allow you to include key business information with your online profile. You can add more details to your business location which is important for those who have multiple branches or outlets. Bing Places for Business will also let you upload videos, photos, and other forms of marketing content to generate interest and to entice people to visit the nearest location. Yahoo! Local Listing generates millions of searches every day and currently sits third behind Google and Bing. You can avail of the free subscription. However, you will need to sign up for the paid subscription in order to upload photos, videos, and other business-related content with your profile. The paid subscription will set you back $9.95/month. Meanwhile, if you avail of the $29.99/month, Yahoo! Local Listing will list you in 40 other online directories. Yahoo! may not be the force it once was, but you can still use it for a localized online marketing strategy. If you are targeting a specific demographic, Yelp could be the best choice for listing your business. It is estimated that 42% of people who use Yelp to search belong in the 18 to 34 age demographic. 61% of Yelp’s users have a college degree and 46% have an annual income of at least $100,000. One of the key features of Yelp is that it publishes consumer reviews. Interestingly, the most reviewed businesses are in the retail, food, and home service industries. It also has a reporting tool that can help you research and analyze business trends. Small businesses that prefer to run a localized marketing campaign whereby customers, suppliers, and other similar enterprises are within their area should use MerchantCircle. Put simply, MerchantCircle is small business-friendly! MerchantCircle opens up a treasure trove of features to help small business owners market and promote their products and services. You can place advertisements, post your business blogs, and utilize MerchantCircle’s entire arsenal of free marketing tools. Building a business through a search engine directory has never been easier than with MerchantCircle! Yes, Yellow Pages is still alive and well and can be found online! Yellow Pages has long been associated with search. Only instead of letting your “fingers do the walking”, they’ll have to tap keyboard keys or click on a mouse. YP is still a relevant player in the industry and generates millions of searches on a daily basis. According to the company’s latest data on website traffic, there were an estimated 70 million visitors on their site in 2016. By virtue of earning more than $1 Billion in revenues in 2014, the people at YP believe they are the second best search engine directory in the United States. Manta is another search engine directory listing service that is geared towards promoting small businesses. The company reports that their directory continues to attract millions of unique visitors every month. One reason is that Manta maintains a highly- comprehensive database on businesses including information on industry categories, developments, and customer demographics. In addition, users of the Manta service can also access helpful content, free marketing tools, and take advantage of features that actively promote the business and its products and services. Do you own a restaurant or a bar? Are you in the hotel business? If so, sign up for Citysearch. This search engine listing directory is focused on providing marketing services for businesses in the hospitality industry. Citysearch has a partner network which can help increase your visibility within your target market. Its partner network includes Urbanspoon, MerchantCircle, and Expedia. Businesses that are frequently searched for by Citysearch’s users will appear in their “Best Of” list that covers more than 20 industries. Angie’s List is one of the fastest growing search engine listings on the Internet. As of 2017, the site has more than 3 Million members who use the service to conduct research. You can also use Angie’s List to find local suppliers and review other services as well. Angie’s List is also known for publishing objective and reliable consumer reviews which cover more than 720 industries. 2017 was a banner year for Angie’s List. The search engine directory made it to the prestigious Deloitte’s Technology Fast 500 list. Consultancy firm Deloitte uses this list to rank the fastest growing companies in the technology, media, and telecommunications industries. Who hasn’t used TripAdvisor? If you need recommendations for restaurants, hotels, and holiday destinations, TripAdvisor would be one of your go-to search engines. It has built a steady reputation as a reliable and trustworthy search directory in the entertainment and hospitality industries. How big is TripAdvisor? The company reports that it generates 390 million searches from unique visitors every month and has published more than 430 million reviews. Other than Citysearch, if you are in the restaurant and hotel business, make sure you register your business in TripAdvisor. The Internet opens up different avenues you can take to market and promote your business so that it can be found by interested parties. Listing your business in a search engine directory is a great way to complement your digital marketing strategy. When you are competing with other businesses in the industry, always make it easier and more convenient for your customers to find you. Think of these search engine directories as the Yellow Pages in the palm of your hand. People still rely on YP for search purposes. In fact, YP is already on the Internet! If you want to know how to integrate a search engine directory listing with your digital marketing campaign, give us a call for a free consultation! https://mountaintopwebdesign.com/wp-content/uploads/Retail-locations-need-SEO.jpg 500 1000 Josiah Bussing https://mountaintopwebdesign.com/wp-content/uploads/2016/01/website.png Josiah Bussing2018-10-01 09:00:182018-10-01 08:39:59Why Should Retail Locations Be Listed In Search Engines?